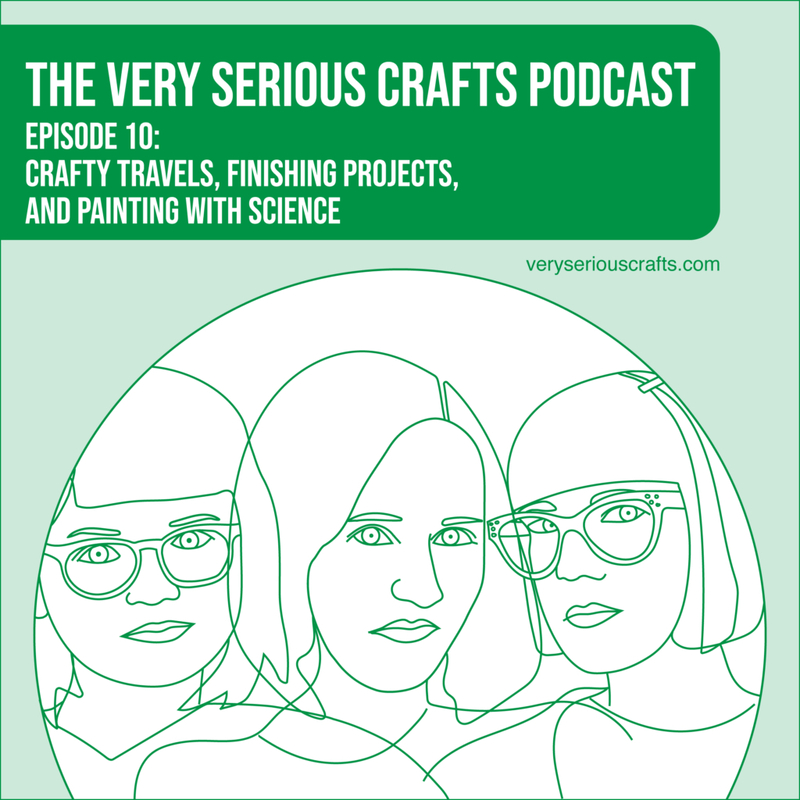 You're reading The Very Serious Crafts Podcast, Season 1: Episode 10 - Crafty Travels, Finishing Projects, and Painting with Science! 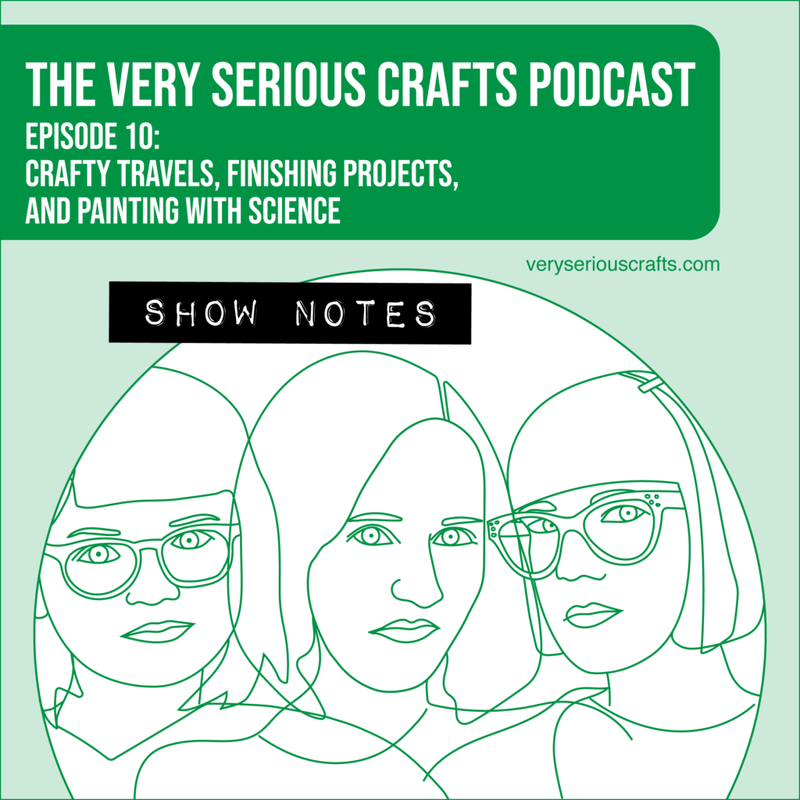 In the Very Serious Crafts Podcast, Season 1: Episode 10, Mollie tours a UK yarn mill, Haley pores over acrylic pouring, and Heidi rants about dc2tog. 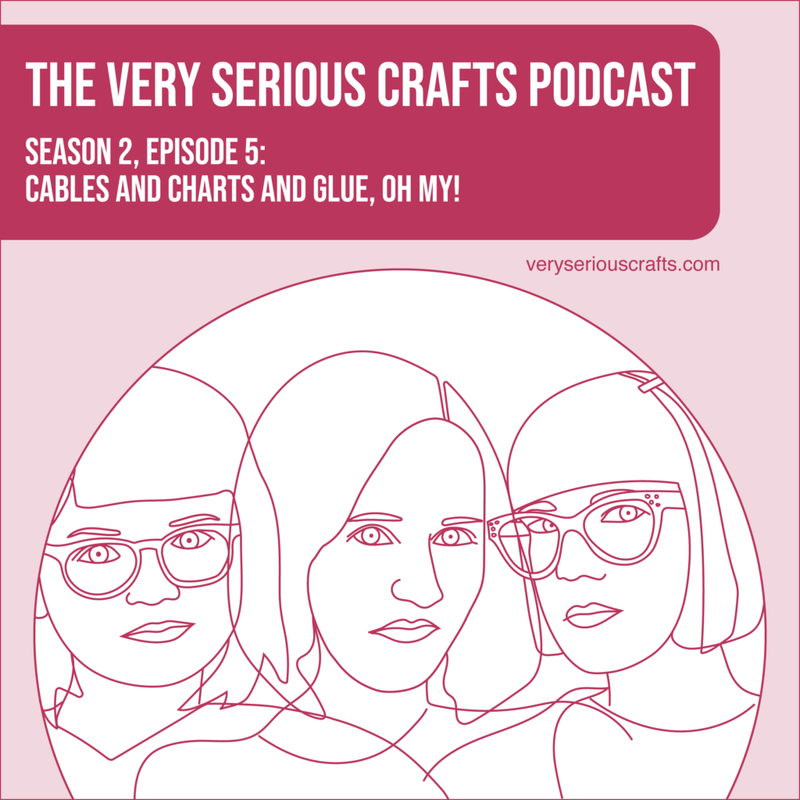 You're reading The Very Serious Crafts Podcast, Season 1: Episode 4 - show notes Inspiration, Craft Shame, and a Toy Sewing Machine! 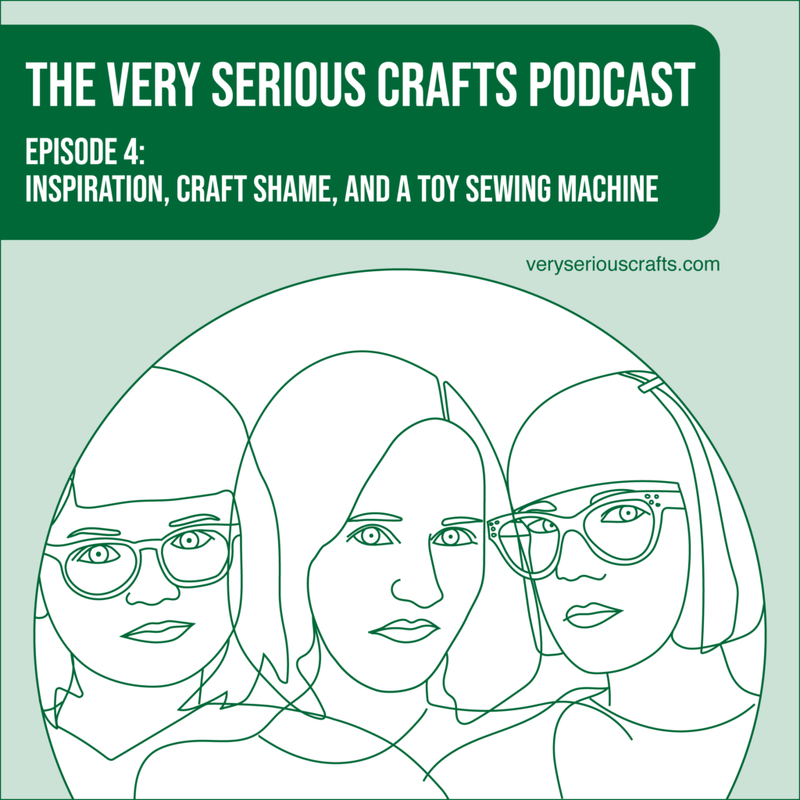 In the Very Serious Crafts Podcast, Season 1: Episode 4, we discuss the 100 Days Project, Me Made May, and what happens when good ideas come along at bad times.